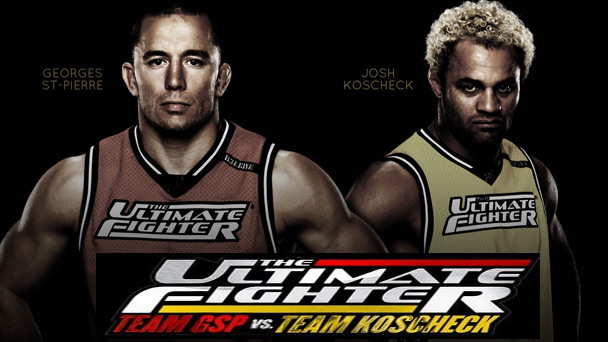 The Ultimate Fighter Season 12 kicks off on Spike TV this Wednesday! Get a dose of what awaits because we've got sneak peek video inside. In less than a week, “The Ultimate Fighter” Season 12 kicks off on Spike TV on Wednesday, September 15 at 10:00 pm ET/PT, after the UFC Fight Night 22. The competition reality series features Georges St. Pierre and Josh Koscheck as opposing coaches that will lead the 28 UFC lightweight hopefuls. As previously reported, they will end the season with a match at UFC 124 on December 11 at Montreal’s Bell Centre. But before that, 11 regular TUF 12 episodes and a live finale will take Las Vegas on December 4. The cast members ranges from 21 to 35 years old, and coming from US, Ireland and England. TUF 12 will use a 32-slot, 28-man tournament format and will be cut in half by an immediate elimination round. The official cast will consist of the 14 remaining fighters. Then two who will lose in the first round will get another shot in the second round as “wild card” picks. A preview clip from Spike TV and www.ultimatefighter.com is posted below.